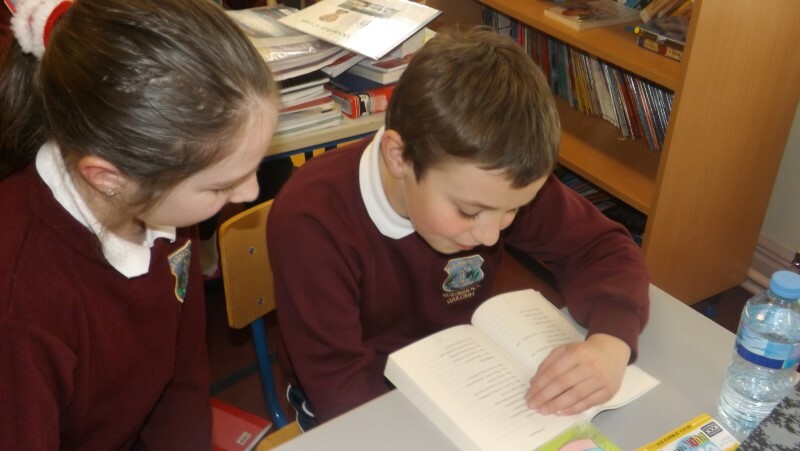 Every year Kiltiernan celebrates reading during Book Week. 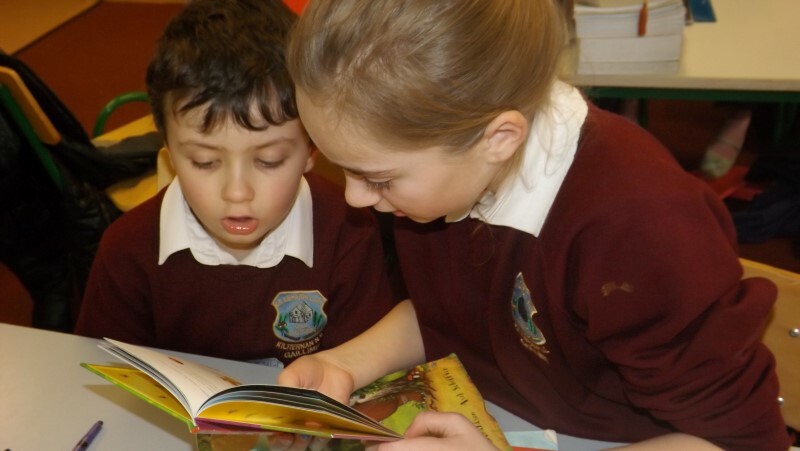 We focus our energies on celebrating the joy of reading by reflecting on the work of famous authors and illustrators and designing competitions and activities to promote reading. 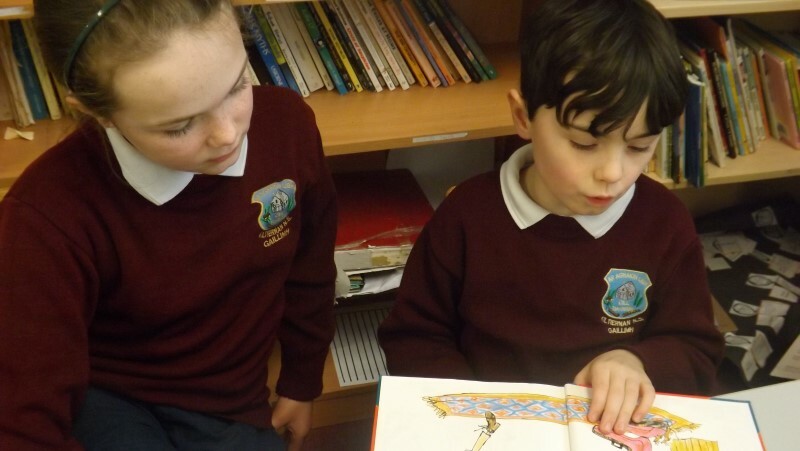 We have been very fortunate to have visits from authors who have been very generous with their time and infused us with their enthusiasm for reading and writing. 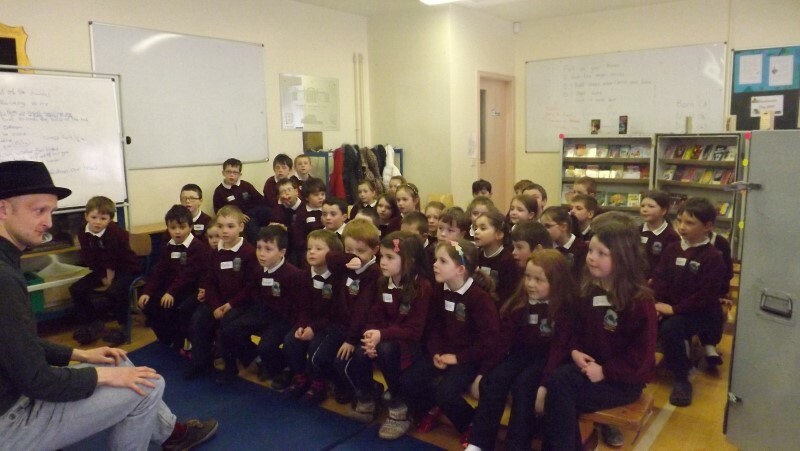 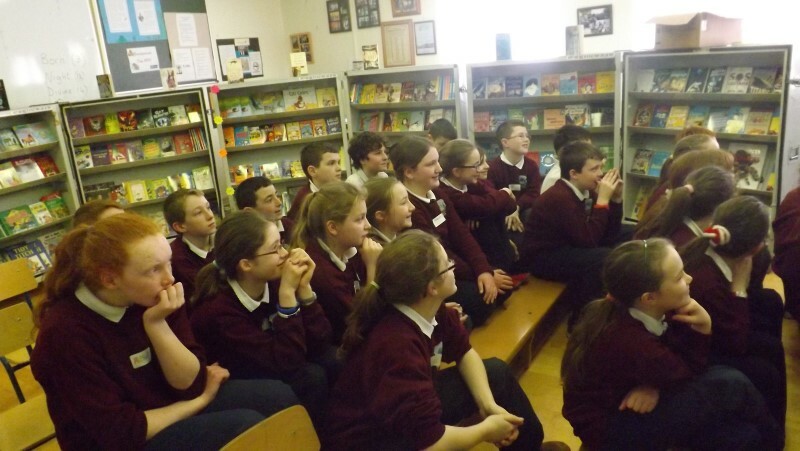 Recent author visits included Cora Harrison, Pete Mullineaux, Kate Mc Mahon and John Quinn. 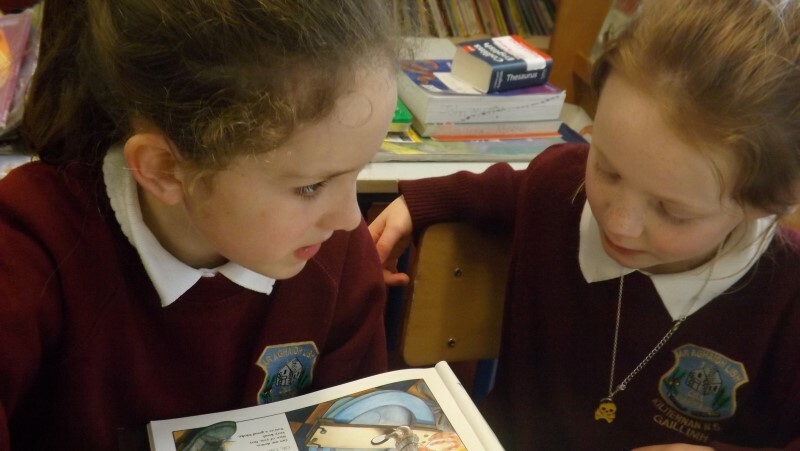 The children’s imagination, understanding and ambition to fulfil themselves as readers and authors are nourished by visits like these. 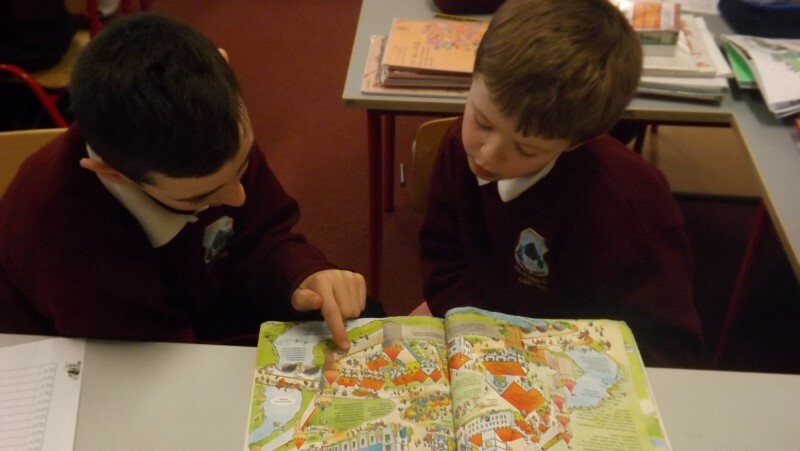 Book week is a chance for our whole school community to celebrate the pleasure of reading. 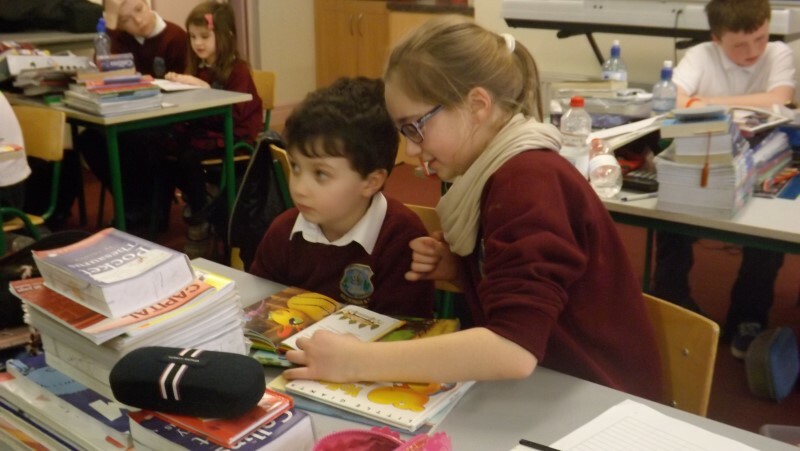 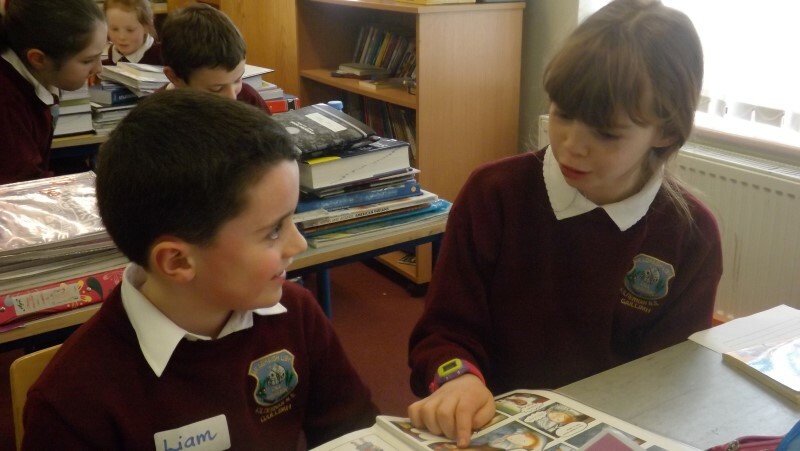 Book Week 2019 is scheduled from 4th-8th of March and includes a week-long Book Fair, visits from a published author and parents and friends of Kiltiernan who wish to share their love of reading. 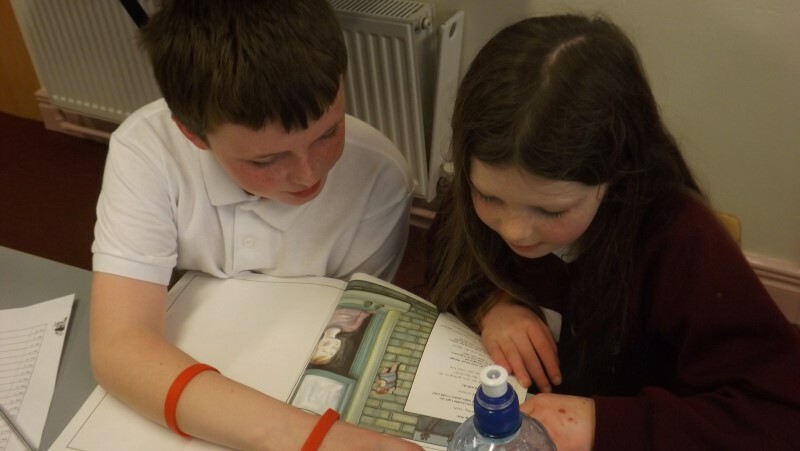 It also includes Book Quizzes, art competitions and lots of activities inspired by books and reading. 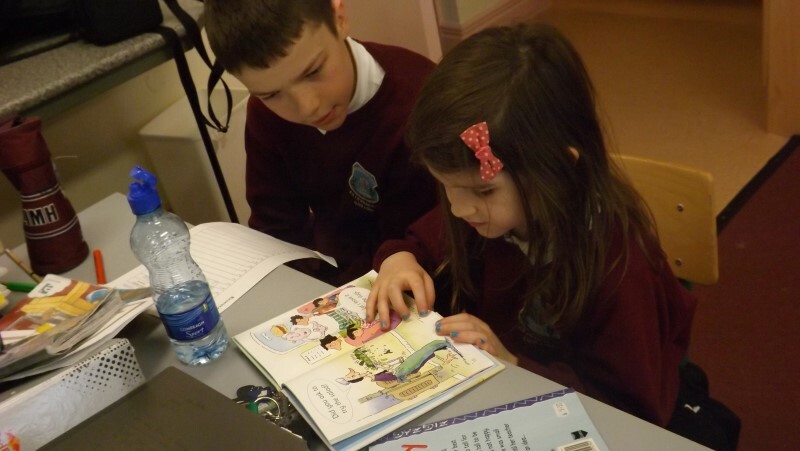 Book week is a very exciting time in our school. 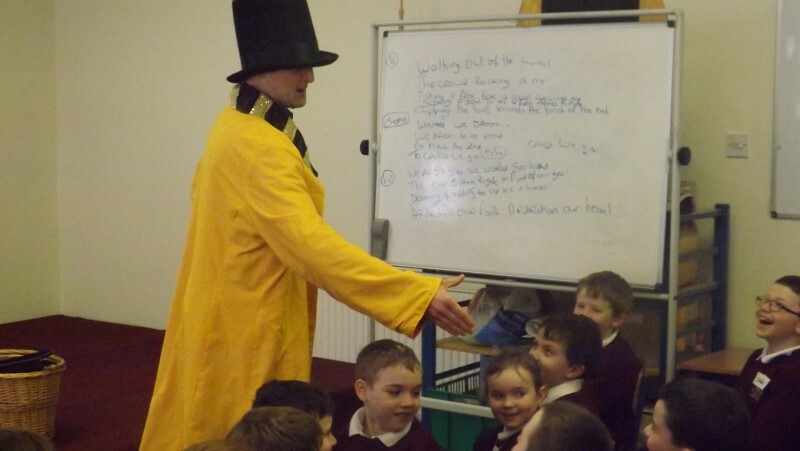 We will take part in lots of activities from the 4th to the 8th of March. 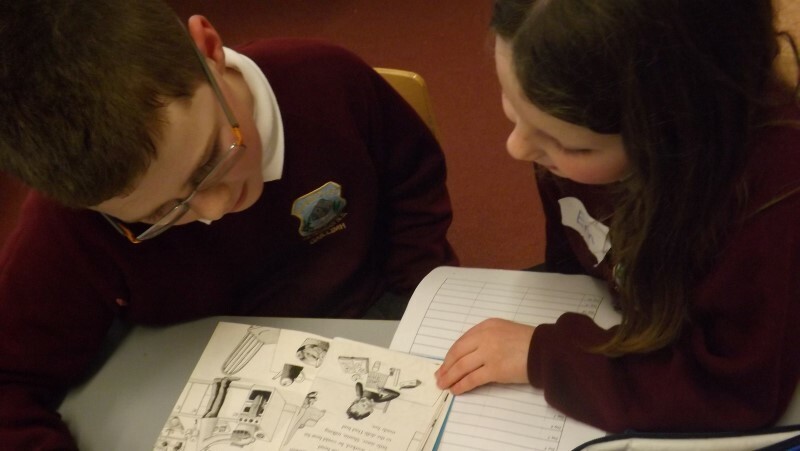 On Tuesday 5th March, as part of our activities we have planned a visit to Oranmore library to browse through some of their books. 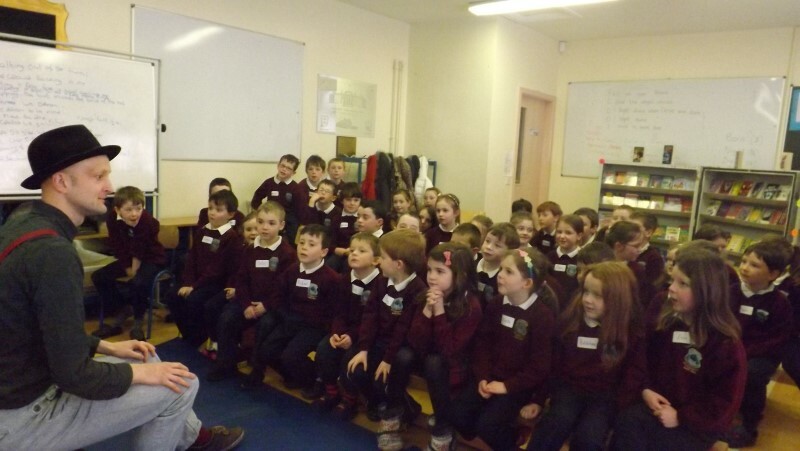 Our special guest author this year will be story teller Rab Fulton. 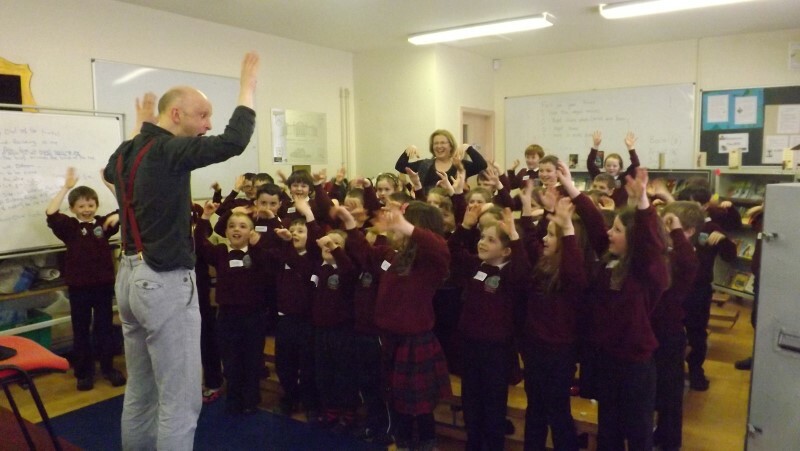 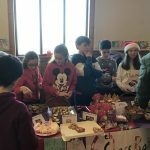 He will explain his work and approach as a storyteller and will lead workshops in each room to develop the children’s understanding of his craft and develop their interest and appreciation in story telling. 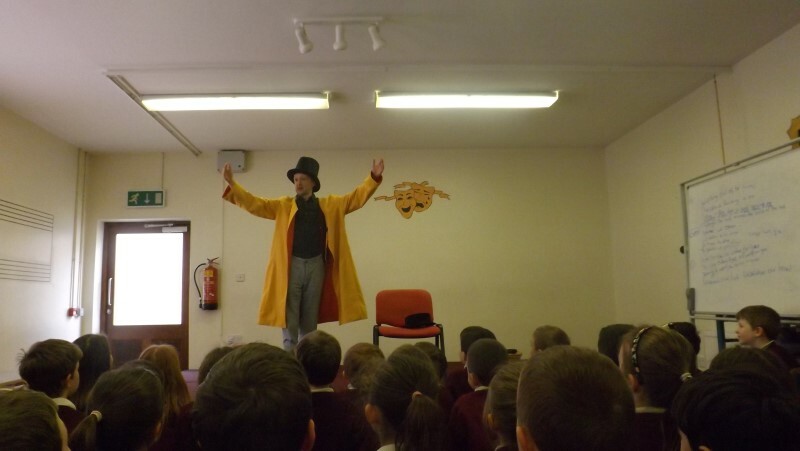 Parents are invited to come in and watch him perform on Wednesday 6th of March. 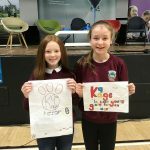 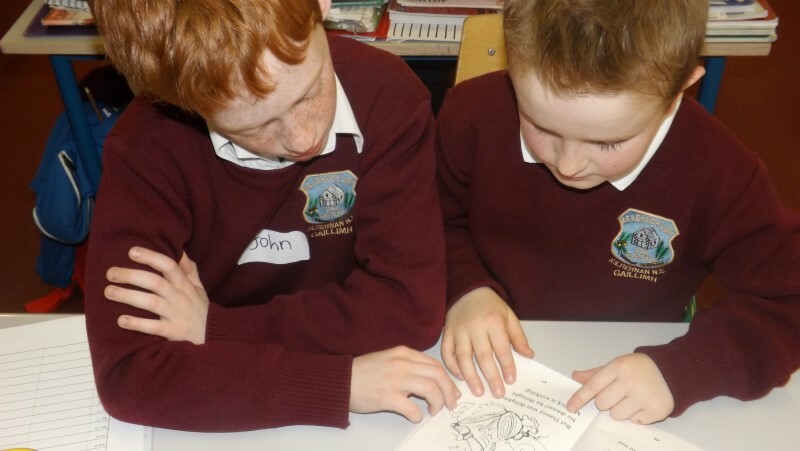 Buddy reading is an activity where younger children get to read with the older children, a young child brings a book that interests them and they read it together each day during book week. 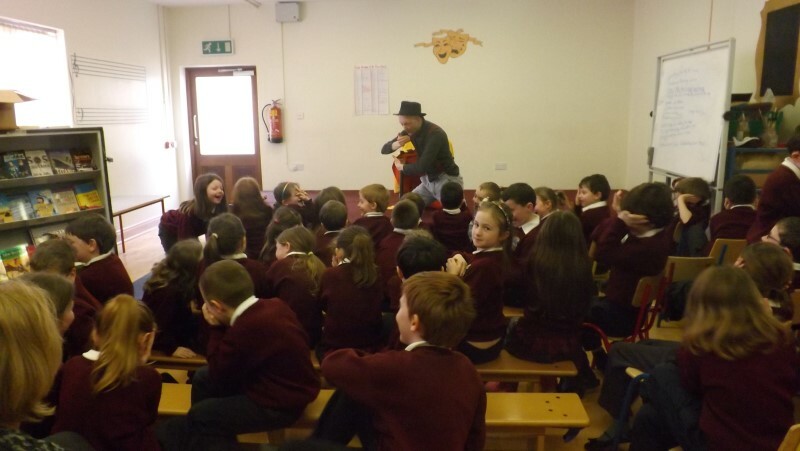 We also do art competitions which is where we illustrate a character or scene in our favourite books. 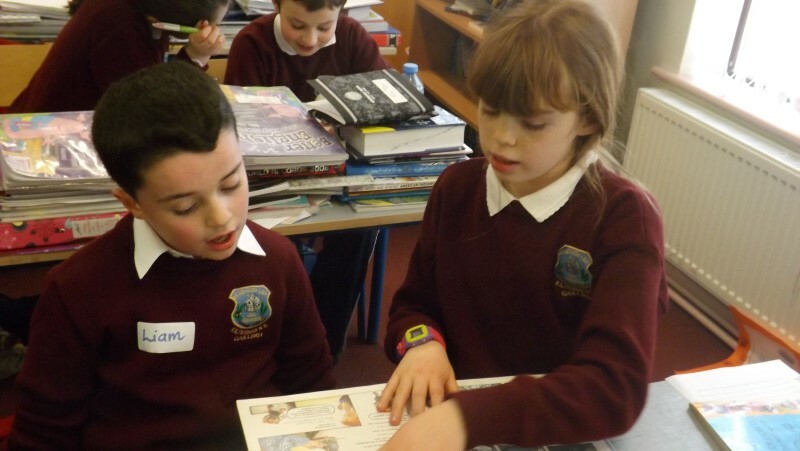 We participate in book reviews, this is the way we give our opinion and sometimes inspire our classmates to read it. 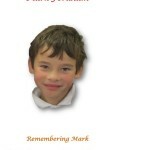 Some parents come in to read books to the kids, this can be a favourite book from their childhood or from their life that they like reading to their kids nowadays. 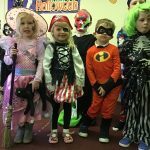 We will hopefully also fit in a Surprise Movie based on a children’s book, with popcorn provided, on the last day to wind down…! 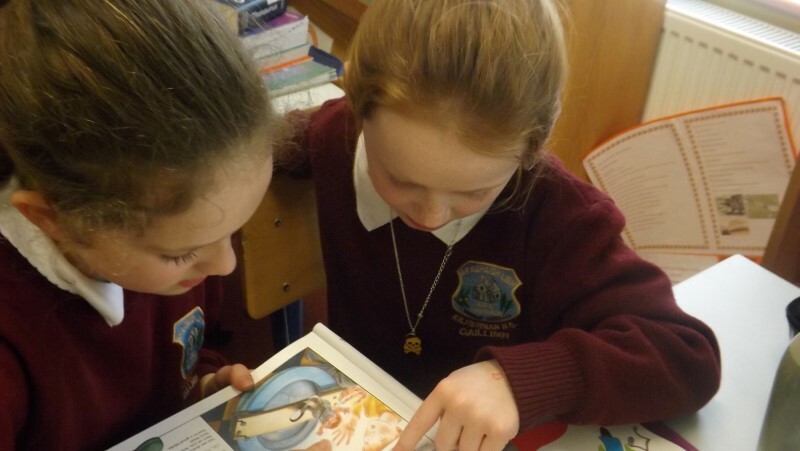 We can’t wait for book week.